We offer training through several delivery methods, including online demonstration videos and user guides. Our user guides have been designed for administrators to get a detailed understanding of the technical elements integrating identity, credentials and access management and enabling the creation of automatic workflows. Our online video’s shows some of the features of Jellyfish. Importantly, you will see how simple and easy Jellyfish is to operate and how it passes data through disparate systems and uses triggers on one platform to impact another. In this tutorial we demonstrate how to enter the alerting overview webpage. This feature encompasses alerts from Endpoint Security services (Anti-Virus/Malware), Audit (SIEM) services, Physical Access Control Systems, any Domain Violations detected from Certificate Authorities. Endpoint Security alerts will ensure you maintain visibility of any malicious events or outdated endpoints. Audit events including account lockouts, failed login attempts, brute force attempts and any other significant event you wish to configure. PACS alerts include events where users may attempt to access unauthorised areas, forget to swipe in/out of zones and the creation/removal of access. Domain Violations alerts provide oversight over the issuance of certificates inside and outside of trusted, known domains so that action can be taken accordingly. This feature also illustrates the status of your entire infrastructure, as well as any outstanding alerts or issues with services, hosts, and any other checks you may be performing on your environment. At a glance you can see your overall system health to quickly respond to any issues that arise. The anonymous portal allows a certificate to be obtained without authenticating the Jellyfish website. There is a three step process to obtain a certificate without authenticating to the Jellyfish website. First, access the anonymous portal and follow the menus to upload an existing CSR that you’ve generated outside of the Jellyfish interface. This will send you and the default list of approvers for your tenancy an email containing the details of the certificate request you just submitted, and an ID that approvers can use to find your request. Second, an approver will log into Jellyfish and follow the menus to find and approve your request, as identified by the ID in the email. This will send an email to you informing you of the approval, and giving you a new ID to use in retrieving the approved certificate. Third, access the anonymous portal and follow the menus to check the status of your request. This will allow you to download the certificate, completing the transaction. Audit information allows you to see overall activity of your environment, and to act should any anomalies be found. 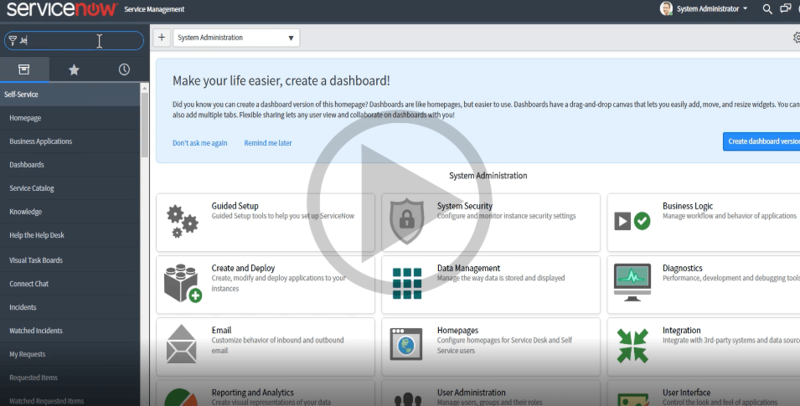 In this tutorial we demonstrate how to enter the auditing dashboard page. Audit information presented includes User Creation, User Deletion, Physical Access, Role Provisioning, Role Modification, etc. The LetsEncrypt Proxy feature provides the ability to capture of all certificates issued or renewed from the free LetsEncrypt Certificate Authority, which can be leveraged for globally-trusted external web server certificates. Any issued certificates found by the proxy are sent to Jellyfish, giving you oversight into which LetsEncrypt certificates and domain names are being used within your environment. The LetsEncrypt Proxy does not interfere with any of the communication between the client and LetsEncrypt services, allowing you to utilise whichever LetsEncrypt client implementation that you desire. In addition, by proxying all traffic through our service, you can ensure that all outbound LetsEncrypt traffic is managed and easily auditable through your network. The video shows an example Linux server requesting a LetsEncrypt certificate, the creation of the DNS TXT record that LetsEncrypt requires, and the resultant certificate shown in Jellyfish. Behind the scenes, the issued certificate is simply captured by our proxy service and sent over to Jellyfish, all without interfering with the client/server issuance process. Autoenrolment module for Linux allows Linux machines to auto enrol and renew digital certificate. The module leverages Simple Certificate Enrolment Protocol and Certmonger to achieve certificate request and enrolment. All certificates issued can be viewed and managed by using Jellyfish management console. The process uses a few lines of commands which could be combined into server build and config scripts to automatically enrol and configure certificates for webservers and other services running on Linux. The first part of the video is showing a low privilege user logging into jellyfish then requesting a SCEP certificate for their Linux machine. The video then shows a high privilege user logging in and viewing then approving the users request. The original user that requested the certificate is then sent instructions on how to request a certificate on their Linux box. The second part of the video shows a user requesting a certificate using the instructions sent to them. This also shows a full data dump of the certificate. Jellyfish’s autoenrolment module for Windows allows auto enrol and renew of digital certificates on Windows machines for both Machine and User certificates including smartcard and virtual smartcard. Jellyfish’s card management module allows virtual smartcard to be created in managed or unmanaged mode. In managed mode admins have the ability manage the full lifecycle of virtual smartcard like creation, PIN reset and destruction. This particular video shows the process of unmanaged virtual smartcard creation and certificate enrolment. All issued certificates can be viewed and managed from Jellyfish’s management console. This video demonstrates how to request DigiCert certificates from Jellyfish. The request process can be completed through either generate CSR or uploading CSR. The video then also demonstrates how to validate a DigiCert request on Jellyfish. This video demonstrates the manual creation of a certificate in an F5 device. Jellyfish supports automatic issuance of certificates to F5 devices as well based on factors such as expiry, but this cannot be shown as there is no user interaction required for the fully automatic issuance to occur. This video shows a integration of Jellyfish with BMC Remedy and other BMC products. Through BMC, a request can be submitted directly to Jellyfish (for example, as part of a service request or change), and the signed certificate is returned to BMC for download in BMC. This integration is flexible as Cogito provide a standard library for deployment into BMC products. This library can be easily installed and subsequently attached to BMC processes, providing standard inputs and outputs for certificate issuance that can be bound to any field or function in BMC. The video shows an example issuance process with immediate issuance and retrieval of a Web Server certificate, collecting standard certificate attributes with some optional Subject Alternative Names. The issued certificate in this example is delivered to the requestor as a Zip file, with the PKCS#12 format certificate (with both public and private key), a PKIX format certificate, and the original PKCS#10 certificate request that was submitted. Jellyfish integration can be performed via two approaches: one with immediate approval for pre-approved domains (as shown in the video), and one with additional approval step before issuance. Additional steps can easily be integrated through capturing and utilising the Transaction ID that Jellyfish provides during issuance. To request certificates from Jellyfish through the ServiceNow environment, simply navigate to the Jellyfish application within ServiceNow. From there, request a new certificate, fill in the details required in the issued certificate and the password to protect the file containing the private key, and click Submit. Once the request has been submitted, check back on your request to see the download button enabled. Download the P12 file and install it on your computer or the machine the certificate was intended for. Within the credential management module, functions including search, issuing user certificates, issuing device certificates and pre-generating a certificate signing request can be performed. Download the full Credential Management Jellyfish User Guide. In this tutorial we demonstrate how to search for a user, through the use of optional additional search terms and logical operators you can quickly gain accurate search results across large user, device and certificate base, and generate a certificate request on behalf of them. In this tutorial we demonstrate how to search for a device and generate a certificate request on behalf of it. 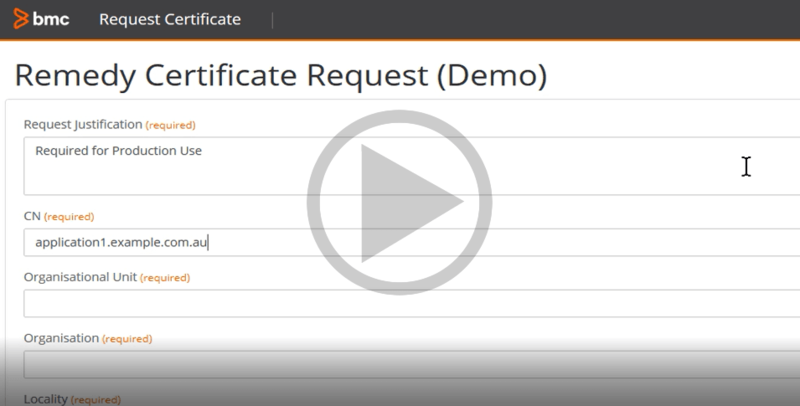 In this tutorial we demonstrate how to upload a previously create certificate signing request. The tutorial will take you through the steps of selecting which user to give the certificate to as well as the uploading process. The discovery component performs all network discovery and identification of certificates within network segments. Where it is permitted, it will traverse additional network segments to continue discovery. Where not permitted to traverse network segments, additional agents can be deployed to each segment to provide maximum coverage. Email gateway encryption allows organisations to encrypt their emails before it gets stored on the Microsoft server. This video shows sending emails, receiving emails, and searching emails using the email encryption proxy Outlook Web App, and compares these operations against the non-proxied Outlook Web App, showing that the data is encrypted when not accessing it through the email encryption proxy. The Outlook desktop application can also use the email encryption proxy, with no extra setup required. This means that an organisation can easily integrate email encryption into their current O365 services. This video demonstrates sending and receiving emails using the Outlook desktop that is connected to the email encryption proxy, and connected directly to the Microsoft O365 service, and then comparing the outcomes of these events, showing that connecting directly to O365 means that the data is not getting decrypted. The connection wireless devices to organisational networks creates attack paths for security threats. Endpoint Protection protects networks that are remotely bridged to devices, such as laptops, mobile phones and tablets. 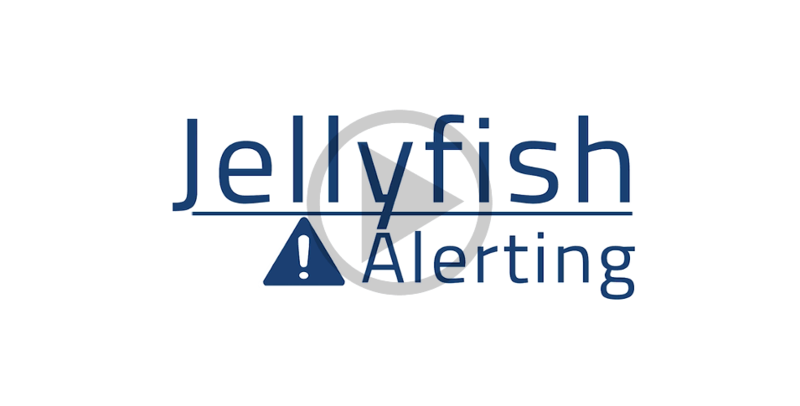 This tutorial shows Jellyfish’s Endpoint Protection capabilities, including: connected clients, outdated clients, and device scans. The identity management module includes a search tool, and functions to create user, create device and create role. In this tutorial we demonstrate how to perform a search. Through the use of optional additional search terms and logical operators you can quickly gain accurate search results across large user, device and certificate bases. In this tutorial we demonstrate how to create a new user. The video will take you through the steps of filling out the new user form as well as selecting an organizational unit to put the user under and selecting a role for the user. In this tutorial we demonstrate how to create a new device. The video will take you through the steps of filling out the new device form to allow managing the device from now on through the Jellyfish interface. In this tutorial we demonstrate how to create a new user role. The video will take you through the steps of filling out the new role form as well as selecting an organization to apply the role to. The Key Management Module enables features including certificate download, accessing HSM objects, and accessing HSM tokens. In this tutorial we demonstrate how to download a certificate for either a user or device. The video will take you through the steps of selecting the entity with the desired certificate and downloading the certificate as either a PKCS#12 or PKCS#7 formatted file. The Key Management Modules enables features including certificate download, accessing HSM objects, and accessing HSM tokens. 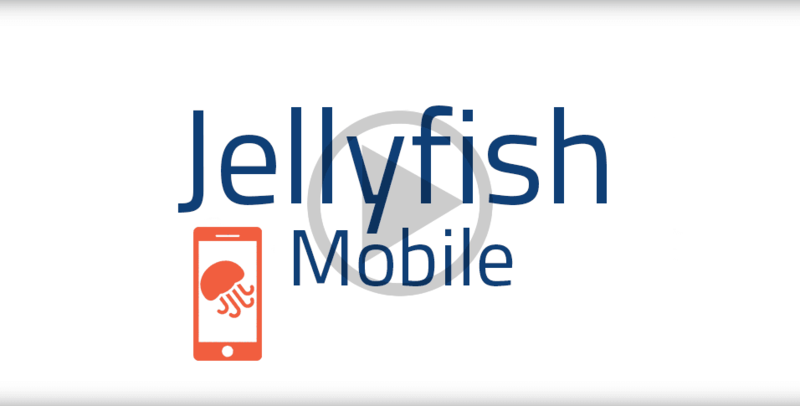 In this tutorial we introduce the features of the Jellyfish mobile application: JF Mobile. JF Mobile allows you to request certificates and receive certificates directly from your mobile device. The host information monitoring page contains detailed information about all hosts and services that are currently monitored within your infrastructure. In this tutorial we demonstrate how to enter the monitoring overview page. You can additionally drill into each item to flag them for maintenance periods, disable notifications, schedule checks and view more detailed monitoring information. The monitoring page contains detailed information about services, for example Sophos Antivirus and Windows Firewall, that are currently monitored within your infrastructure. The reporting module contains pages including the current invoice report page, and the current usage report page, and allows specific invoices to be downloaded. This video demonstrates how to use the Search feature in the Jellyfish interface. Individual features in Jellyfish, for example Credential Management and Identity, also have a search area within their interfaces, however the Search feature consolidates search for all Jellyfish features. This video shows how to search for Users, Devices, Roles, Organisations, Credentials, Smartcards, HSM Tokens, HSM Objects and Audits. This video also covers how to use the Saved Search Query in Jellyfish. The self service module enables features such as changing the current user’s password and managing the current user’s account, These features reduce the burden on service desk staff within an organisation. In this tutorial we demonstrate how to change the current user’s password. This video will take you through the steps of filling out the change password form to allow for simpler self-service, and less burden on service desk services within your organisation. In this tutorial we demonstrate how to managing the current user’s account. This video will take you through the steps of selecting a user to view or modify, viewing the user’s data, and then editing the user’s data. The Smartcard module allows users to request Smartcards, search Smartcards, download batch files and access batch request reports. Smartcard issuance can be customised based on an organisation’s requirement. Single issuance of Smartcards allows individual users to be selected, and Smartcard requests to be processed individually. The support module within Jellyfish enables users to change another user’s password, manage user accounts, create a support ticket, search for a specific support ticket, edit a specific support ticket and delete a specific support ticket.In this tutorial we demonstrate how to change a user’s password. This video will take you through the steps of selecting a user whose password needs changing, and filling out the required parts of the form to perform the change. In this tutorial we demonstrate how to manage a user’s account. This video will take you through the steps of navigating to the manage account page and viewing your own details. You can additionally edit your details, so as to capture name changes, your user photo, any evidence of identity information and any certificates you own without needing to contact any service desk for assistance. In this tutorial we demonstrate how to create a support ticket. This video will take you through the process of filling out the new support ticket form and applying categorisation and supplying details as part of the request. In this tutorial we demonstrate how to search for a specific support ticket. The video will take you through the steps of viewing your personal support tickets, refining them with a search term, and viewing a specific support ticket. In this tutorial we demonstrate how to edit a specific support ticket. The video will take you through the steps of viewing your personal support tickets, refining them with a search term, viewing a specific support ticket, and then editing the selected support ticket. In this tutorial we demonstrate how to delete a specific support ticket. The video will take you through the steps of viewing your personal support tickets, refining them with a search term, viewing a specific support ticket, and then deleting the selected support ticket. The workflow module allows users to view pending role approvals, this is useful for users within approval positions, where they may be expected to approve role, group, and other attribute changes to users within the Identity Manager.